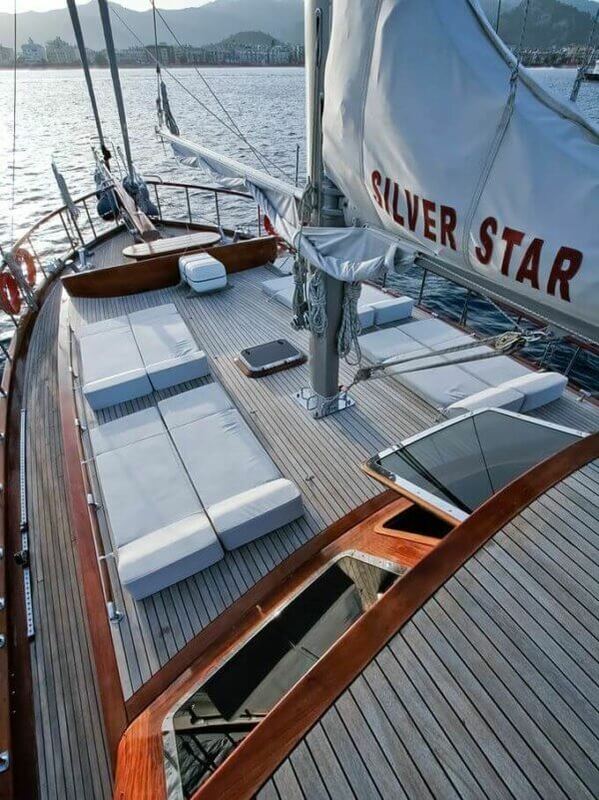 Welcome aboard the sturdy Silver Star II. 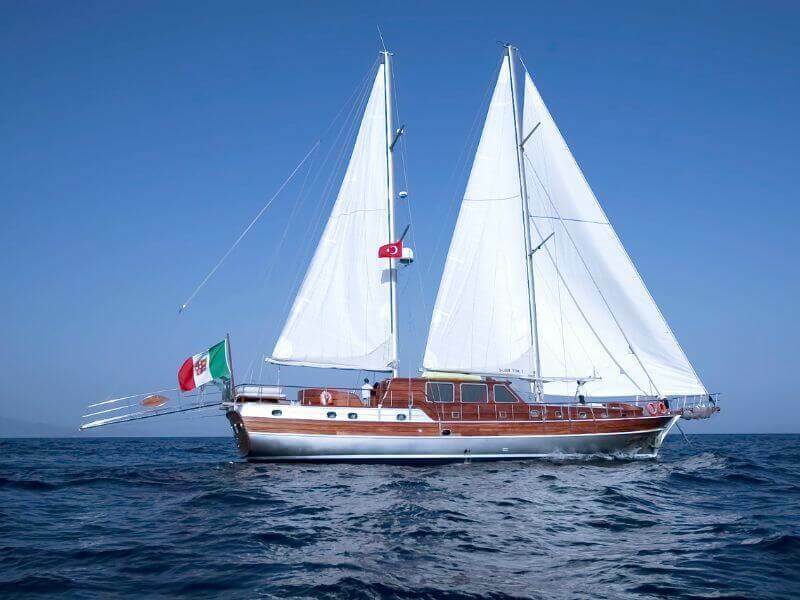 This vessel was build in 2006, with the latest construction techniques and high quality materials. 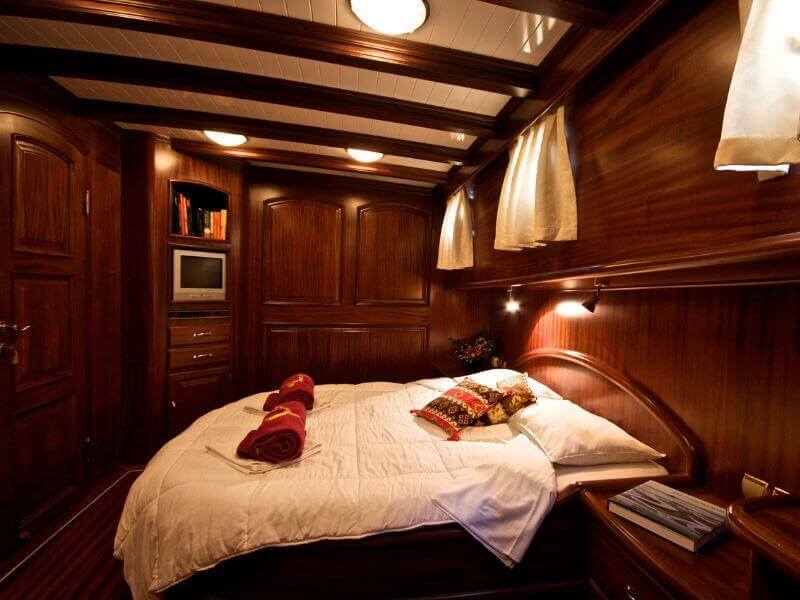 The interior contains elements of two worlds: on the one hand, the classic Turkish caique and on the other, the most recent modern technological applications and comfort. 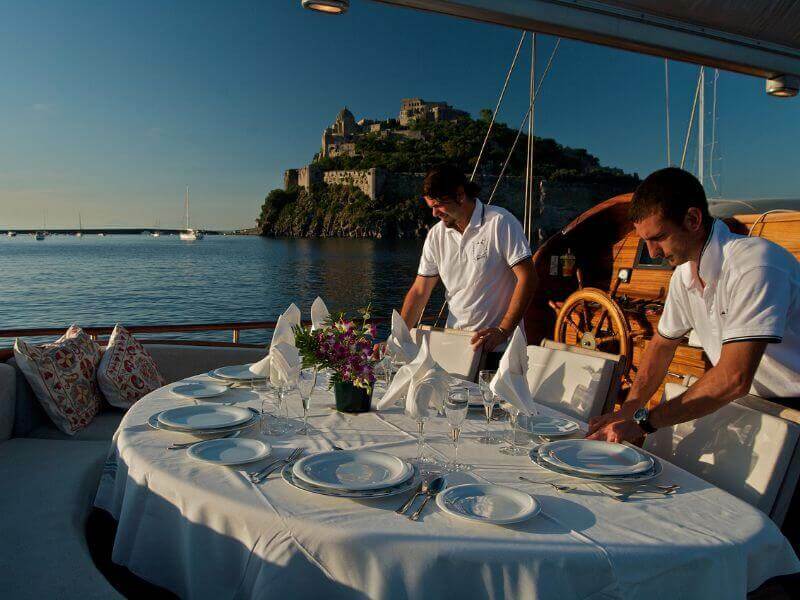 The crew will do their utmost to give you a wonderful holiday. 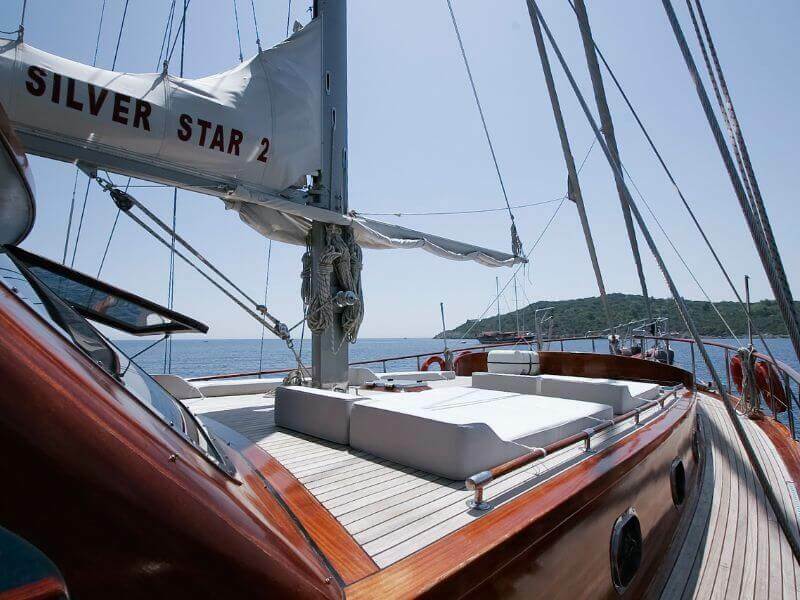 The Silver Star II has 4 luxury cabins: 1 spacious suite, 2 double cabins and 1 twin cabin. 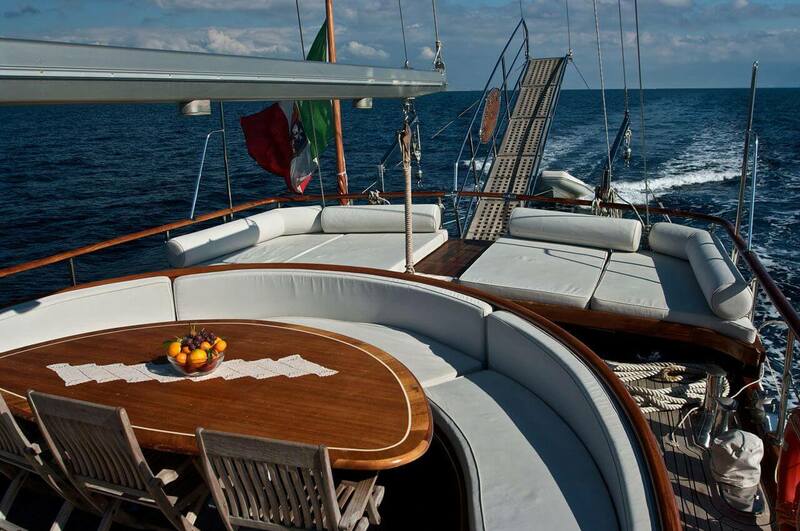 She can accommodate up to 8 people. 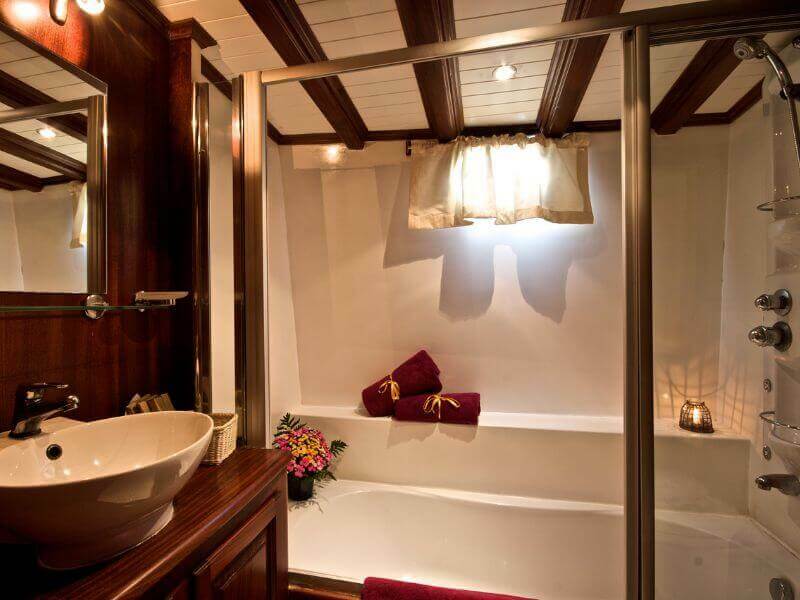 All cabins are equipped with private bathrooms, with a basin (hot and cold water), shower or bathtub, and hairdryer. 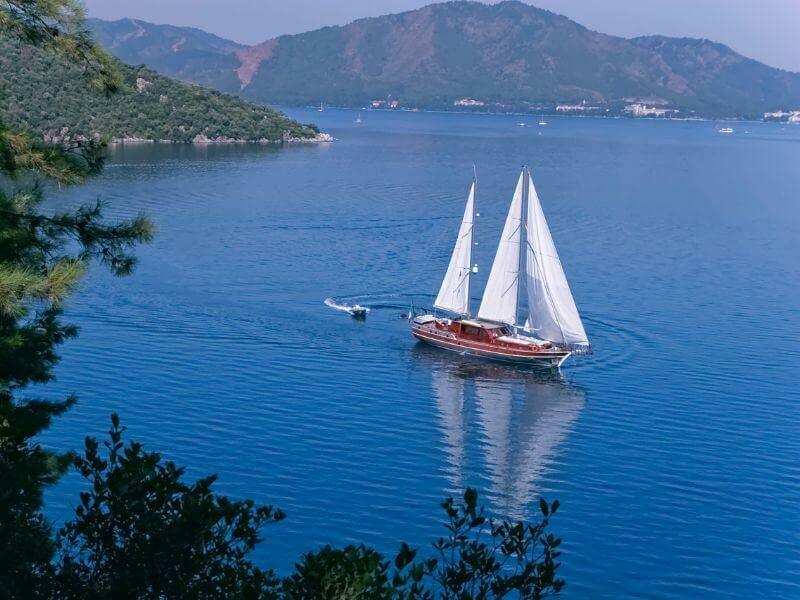 All cabins have air conditioning, a small wardrobe, portholes, and enough space to place bags and luggage (please do not bring trolleys and/or similar rigid luggage). 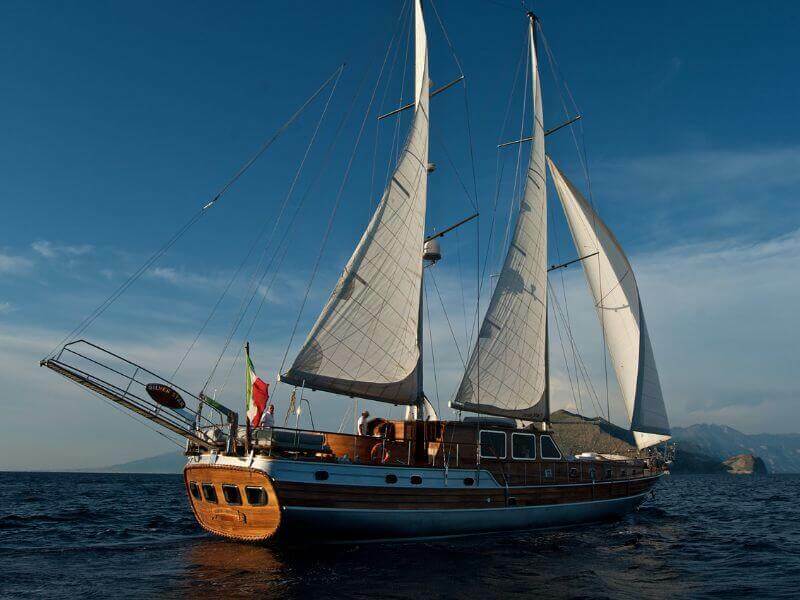 Safety on board is guaranteed by the high standard equipment and by the technical preparation of the crew. 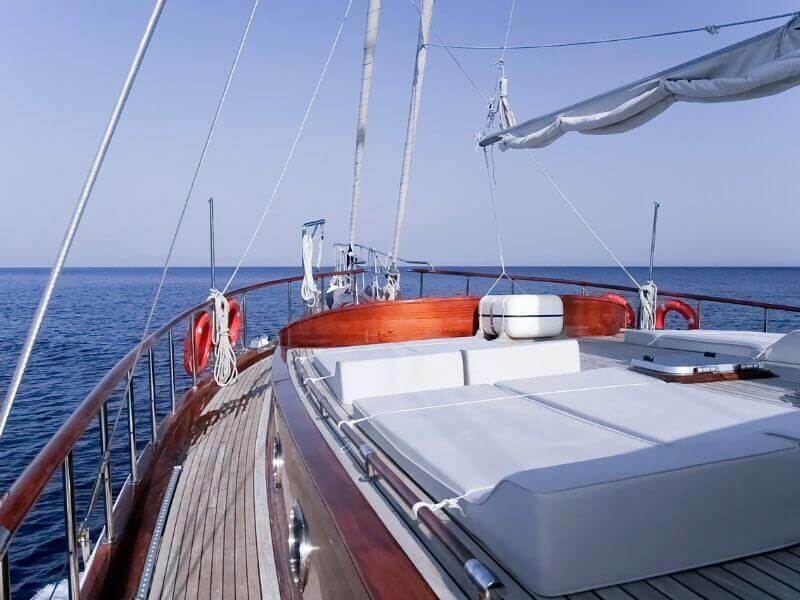 If you feel like relaxing, you can take a rest on a comfortable beach mattress on the large solarium deck and enjoy the sounds of the sea. 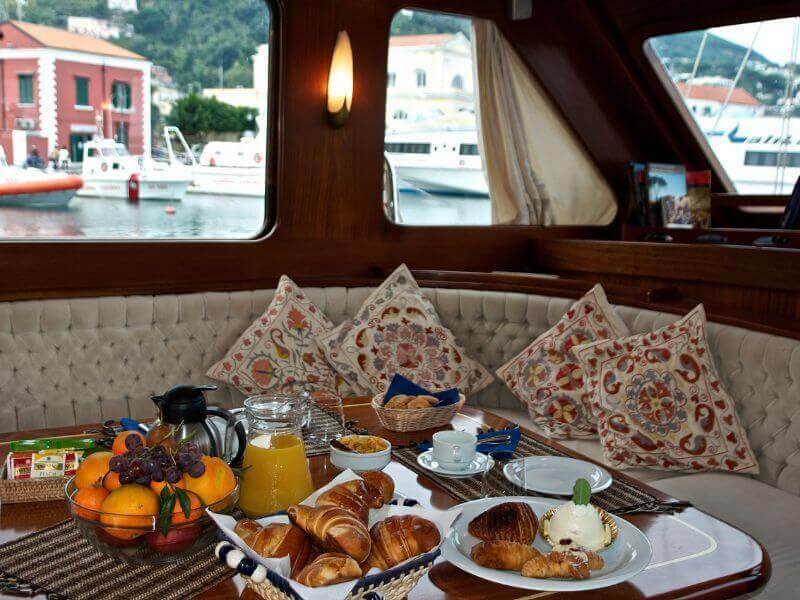 The aft deck has a table and seats, to enjoy your breakfasts and dinners outside.